the MomTog diaries: Our Little Pumpkin is 6!! 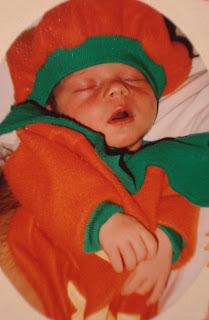 Our Little Pumpkin is 6!! Where has the time gone?! I can't believe I have a 6 yr old son! I remember his birth like it was just yesterday...a long, painful labor that ended in an unplanned c-section. Far from the idyllic delivery I'd envisioned but I'd do it all over again! I remember bringing home that itty bitty baby...not quite sure of the adventure my husband and I were beginning as parents! And yes, it has definitely been an adventure. 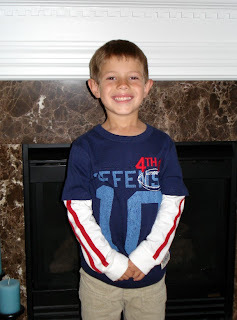 Fast forward 6 years and he has grown into a handsome, smart little boy who is one of the greatest joys in my life! It's not always been easy, but always worth it. I can't believe how fast it's gone by and I can't wait to see what the future holds. I can almost picture him as a mature young man walking through the front door, and asking in his post puberty, manly voice "Hey Ma...what's for dinner?"! I can't wait! I still cant believe my "baby" is 3, everyday I marvel at how big he has gotten. Wow. I can't wait until Daniel is 6. Your comment "it has not always been easy but it was been worth it" really touched me, since we have been having a hard time with Daniel. I hope I can post that someday. Thanks for the encouragement. Happy birthday, Hayden! He is a cutie! YAY, Hayden's post, Hayden's post! I'm so excited! I should send you some party pics to put on here! Our boys are getting big aren't they? I love the name Hayden! What does it mean? Anyway, he's a cutie pie!